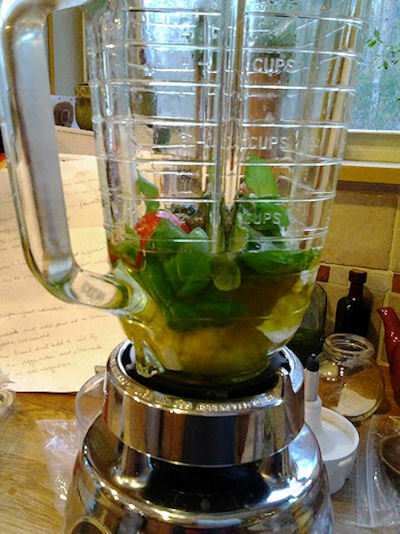 1 1/2 cups of packed fresh Basil or you can use Gourmet Garden Fresh organic herbs in a tube. 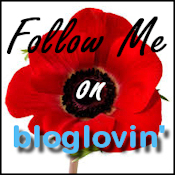 I love these!! In this case you would need two heaping tablespoons. 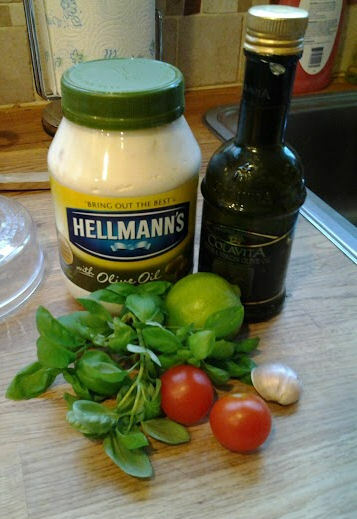 2 TBS of regular Helmann’s mayonnaise please I beg of you do not use Miracle whip as it’s not mayo. 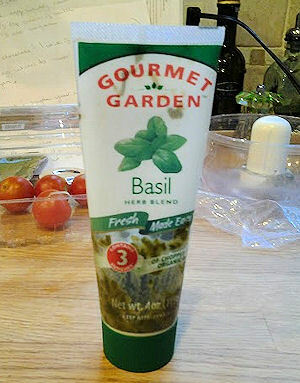 First, let me talk about this Gourmet Garden Basil. 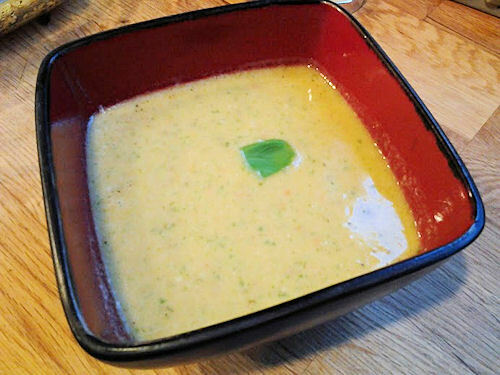 Gourmet Garden Basil is a great solution for busy cooks who want fresh basil flavor without the chopping or the waste. Their basil is now organically grown without the use of artificial pesticides, herbicides or fertilizers. It’s equivalent to three bunches. I had fresh and used it but I like the extra punch this gave it so I added a tablespoon of it as well for a more concentrated taste. 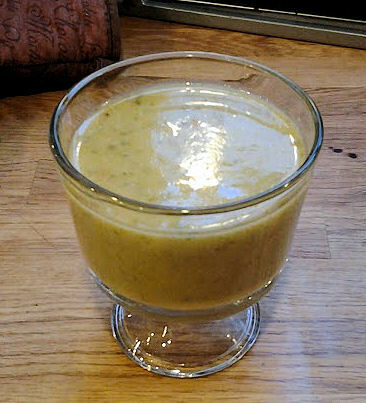 Take the outer shell off the garlic clove and cut the stems off the basil and squeeze lime juice into a ramekin. 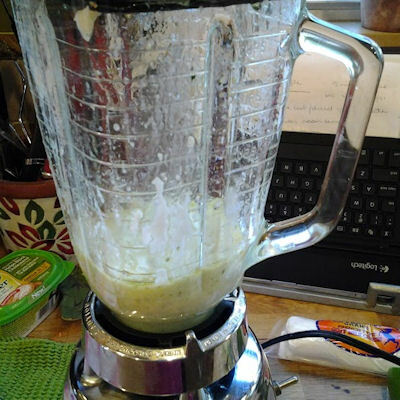 Combine ingredients into a blender or food processor, whichever you have and pulse until nice and smooth. Pour into a bowl. I always set some aside for extra as well. You can double this and save for up to two weeks in the fridge too! Refrigerate until ready to use.